A good drive is hard to find. For one, there are pesky laws and public safety considerations, ugh. For another, there are 4.12 million miles of road in America, most of which pass by Taco Bells and Walmarts and farmland. Digging out a scenic, serpentine road from that monotonous maze is a real chore. Thankfully, if you’re in North Carolina, you do have a leg up. Don’t let our NASCAR heritage fool you: our roads have way more to offer than ovals. From winding coastal drives to rolling Piedmont hills to the treacherous curves of the Appalachians, you and your vehicle of choice will have many adventures. Before we begin, let us remind you to be careful. These are not race tracks, and you do not own a race car (if you do, hit up VIR or Charlotte Motor Speedway!) Your thrilling drive needn’t come at the expense of others. If you’ve ever cruised through a car forum, you’ve likely heard of the Tail of the Dragon. It’s by far the most famous road in NC, though we share the honor with Tennessee. 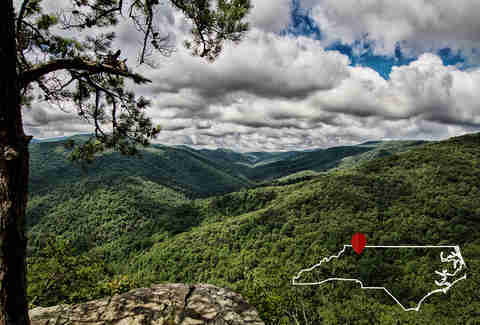 It’s nestled in no-man’s land in NC’s “nose,” far into the southwestern mountains. The Dragon is merely its nickname; it’s officially Deal’s Gap, part of US-129. But with its 318 curves in 11 miles, the mythological flair seems more appropriate. The road’s banked curves and lack of elevation changes are so racetrack-like as to seem intentional. If you want to step on it, the frequent motorcycle traffic and non-stop curves will encourage you to go elsewhere. But if you want to test your new coilovers or practice your heel-toes, it’s hard to find a better spot. The Dragon is quite popular, and you’ll likely run into friendly bikers or a car club on your trip. Asheville and Boone draw tourists to NC, and are synonymous with its mountains. But north of Greensboro and Winston-Salem, hugging the Virginian border, are sparsely populated mountains that people forget about. Chief among them is Hanging Rock, a popular day trip for Triad locals. Before and after hikes and photos, car nuts will find a lot to like. The climb up the mountain is steep and harrowing, and puts torquey engines to work. The surrounding state highways are no slouch either; NC-66 is one of the curviest roads east of Appalachia. The section near Hanging Rock features sudden elevation changes and several hairpins. Bairds Creek Road is one of the shorter drives on this list, but it’s also one of the most dynamic. It starts off with a bang, with a nearly 180-degree entry point off of NC-105. Immediately you’re treated to a clear straightaway with awesome views of the mountains and nearby Willow Valley resort. A few minutes later, that balls-out stretch turns into a run of blind curves, sudden elevation changes, and wall-hugging narrow lanes. The questionably-maintained road will challenge even the best suspension setups, and the curves and elevation demand constant shifting. 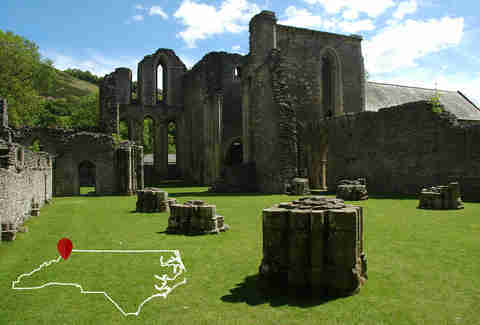 At the end of the road, we recommend a trip down NC-194 to Valle Crucis, a small community of farmers and B&Bs. The speed limit is low, but a cold Cheerwine at Mast General Store is the perfect end to your journey. Car enthusiasts come in a variety of species. Luxury car nuts are like the black walnut trees that populate North Carolina: you see them all along our highways, but they rarely get the love they deserve. When you drive a boat on wheels, it naturally belongs near the ocean. NC-12 -- also known as the Outer Banks Scenic Byway -- feels like driving on a wave. It cuts across 143 miles of coast, with a footprint so narrow you might as well be floating. Parts of the route require actual boats, so you’ll need to stick your land-yacht on a ferry. Frequent hurricanes mean pitted roads, and that means a serious workout for your fancy air suspension. It’s a postcard-perfect afternoon cruise for the old man in you. US-321 is a twisty highway that thinks it’s a mountain backroad. It’s a major artery connecting Charlotte to the mountains, so the traffic is there. Unfortunately, the narrow mountainsides haven’t kept up with tourism. Our DOT knows this, so the highway is the site of eternal construction. This unholy mixture makes it an exciting -- but usually scary -- trip. 321 will test not only your patience, but your car’s limits. Half-finished roads give your shocks a workout, and require constant steering adjustments. Going up, your engine will gasp for air; going down will make your brakes sweat. Passing trucks and construction equipment make it all feel like a game of Mario Kart. Thankfully, there are no banana peels on this mountain. As the longest highway in North Carolina, US-64 truly has something for everyone. 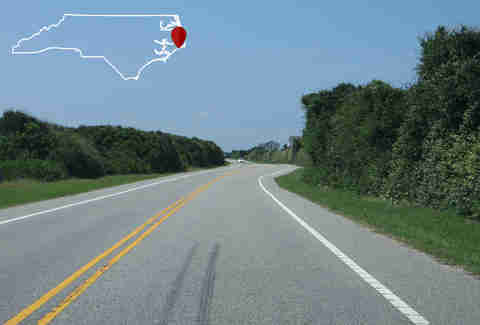 It runs from the Tennessee border -- conveniently close to the Tail of the Dragon -- all the way to the Outer Banks. It’s the perfect way to see every type of terrain our state offers, and some of its best areas. The eastern section is pure hog country, and careens through sprawling farms and tobacco fields. 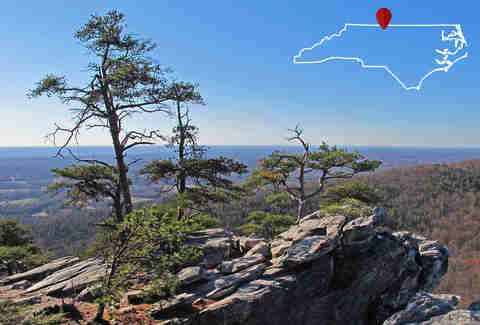 Head west and you’ll see more diverse terrain, particularly around the ancient Uwharries near Asheboro. A combination of rolling hills, low traffic, and occasional stoplights is a great recipe for some lead-footed fun. Far, far west, little US-64 becomes a friendlier US-321, especially on a twisty stretch between Franklin and Murphy. This 65-mile section is officially called the Mountain Waters Scenic Byway, named for the frequent waterfalls. NC-18 runs all the way from South Carolina to Virginia, but the real fun starts past North Wilkesboro. As a gateway to rural farming communities, NC-18 is narrow, sparsely populated, and an absolute blast to drive. The route starts out innocently enough in the Wilkesboro foothills. You’ll blaze past farmland in scenic valleys, with some sweeping curves to tease you. Once you pass McGrady and start to climb, the road gets serious. A wicked switchback in the middle comes right after one of the steepest sections, sharp enough to make you shift in your seat. When you’re done, you have a lot of options. You can grab a bite in Sparta, do the reverse route, or exit onto the Blue Ridge Parkway. NC-226A is the weirdest entry on this list for several reasons. For one, it’s one of only two “alternate routes” in NC. It also passes through Little Switzerland, which sounds like a theme park but is actually a town (and a decidedly non-Swiss one at that). There is one decidedly Swiss thing about the area: the punishingly difficult route up the mountain. It’s likely called an “alternate” route for that reason. European sports sedans will feel right at home in its maze of switchbacks, and any old jalopy can have a good time in the sweeps near the bottom. Just make sure your engine is up to the climb, as the elevation increases sharply when the switchbacks start. 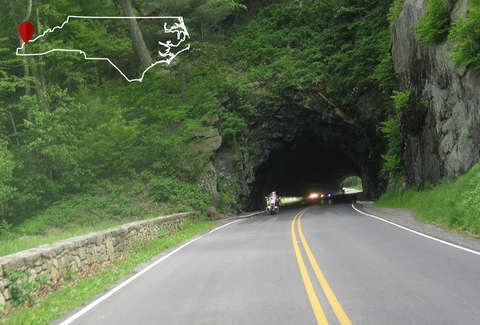 At the top, you can easily take NC-226 to the bottom, or connect to the Blue Ridge Parkway. You will have a blast; your passengers won’t. Bring a bucket. Jon Dantzler is the world's premier tortilla chip enthusiast. He'd love to talk with you about your overclock settings, gear ratios, and the meme marketplace. You can see pictures of his fiancee and cats on Instagram at @tybasedjon.